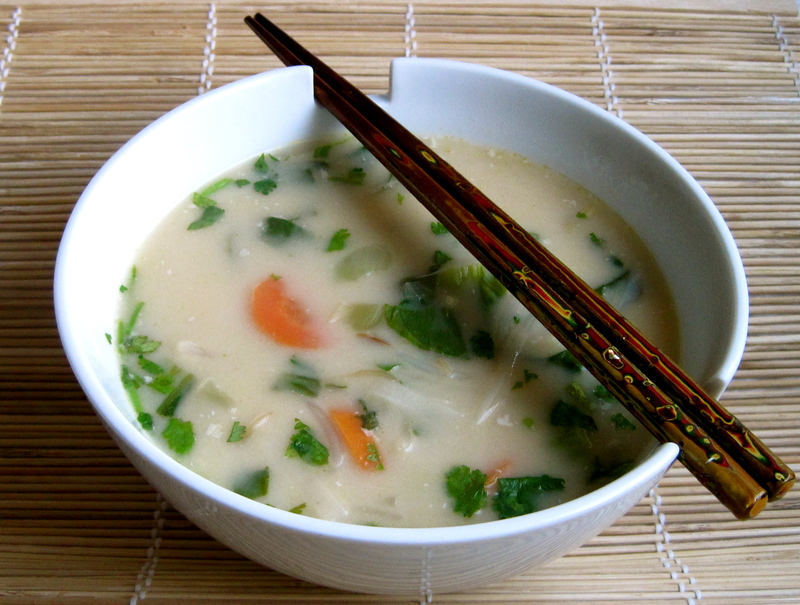 This Thai inspired soup is quick and simple. Perfect for cooler weather, you’ll love how easy it is to throw together after a long day at work. Heat the oil in a large saucepan. Add the ginger and lemongrass. Cook for 1 minute. Add the carrots and onion, and continue to cook for an additional 5 minutes, until carrots begin to soften. Pour the water into the saucepan. Add 4 tablespoons of the tamari, tofu and rice noodles. Let cook for 5 minutes, until noodles are softened. Add the coconut milk, beansprouts, and pak choy. Let cook an additional 5 minutes until vegetables are softened and soup is heated through. Squeeze in half of the lime, and add the cilantro. Test for seasonings, adding tamari, lime, salt, and red pepper if desired. Serve warm. I am also a big fan of soups, home-made, of course! I Love the lemongrass in here but would add some oomph, like diced red hot chili pepper! Yummmm! Yes, recommended! Often can’t do the “oomph” over here, unfortunately! But it would certainly be a fabulous addition.